Please clean the area off. 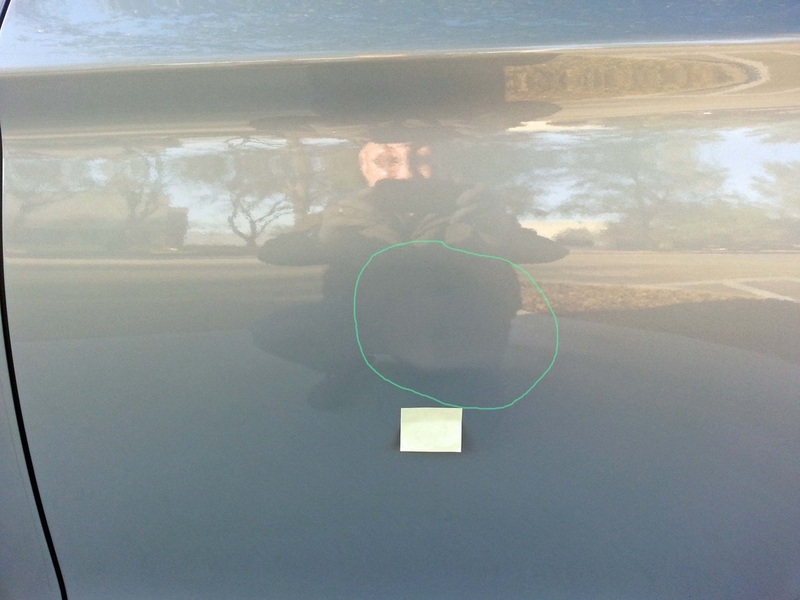 Stand about 2-3 feet away from the dent(s). THIS IS AN IMPORTANT STEP. This allows us to determine location of damage for access. 1st Photo - Take one from a 45 degree angle on the left. 2nd Photo - Take one from straight on. 3rd Photo - Take one from a 45 degree angle on the right. Please also check to see if the panel is steel or aluminum. There is a 25% - 50% increase for any aluminum panel. A magnet (for ex. refrigerator magnet) will stick to steel. It will not stick to aluminum. 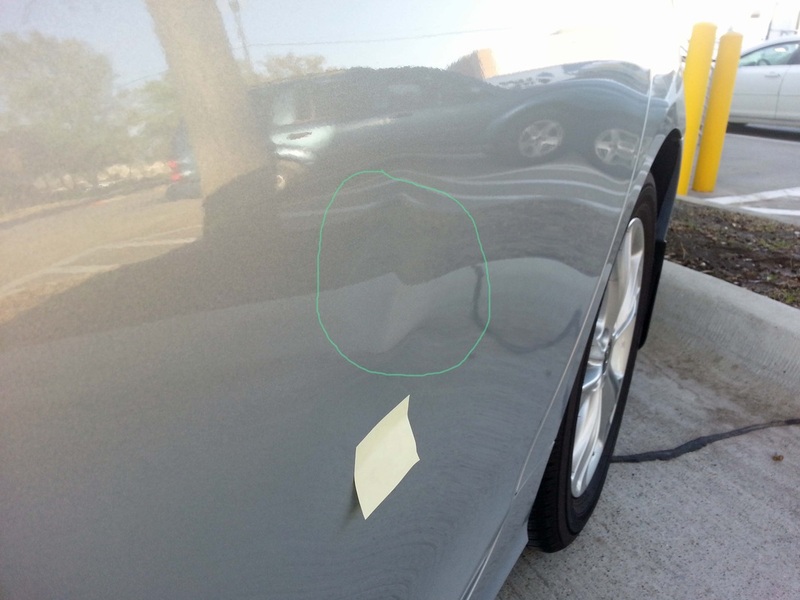 By receiving photos or a video of the damage we are able to determine detailed factors such as location for access, any necessary de-trimming (for ex. tail lamps, fender skirts, interior door panels, headliners etc.) , depth, size and approximate time of repairs*. 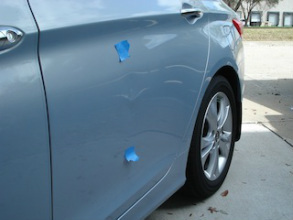 These factors allow Team New Visions to accurately assess the damaged area and provide you with a cost savings estimate. *Please note repair times for larger, deeper and more complex damaged areas can be 3 hours or more. 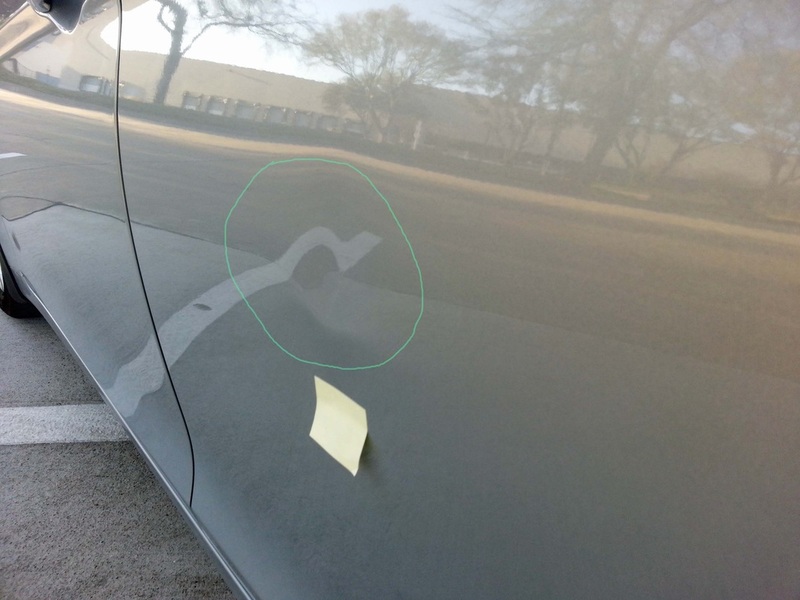 Please notice how the sticky note is covering the lower portion of damage. This is an example of a rare instance of when our estimate given over the phone may change once damage is inspected on site. 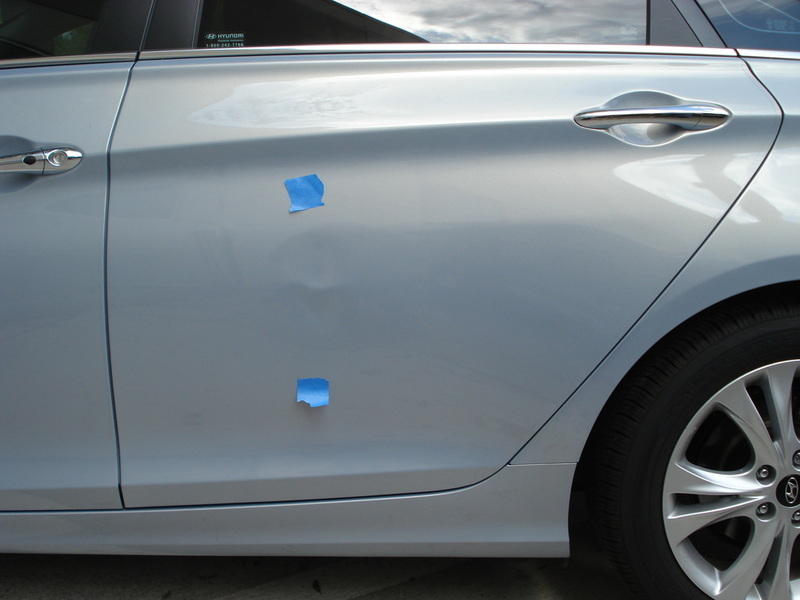 The only time our estimates may change is when the damage in the photos is significantly different than the actual damage seen on-site. We understand a photo may not capture the exact damage. Our estimates are based on what we can see in photos and what information we may gather from you after the photo is received. We will always let you know if the price changes before we start your on-site repairs. After we start the repairs the price will not change.